I’ve had multiple requests to pre-order AFTER MATH for the Boston Author Event signing. I’m hoping to bring 100 or more copies, but we’ll see how cooperative Amazon is. This is a VERY tight deadline! If you pre-order, you’ll be sure to get a copy reserved for you. If you want a signed copy of AFTER MATH and are not attending the event, I will probably sell them at a later date. Just fill out the form below and make payment through PayPal and I’ll have your copy waiting for you in Boston! ATTENTION BLOGGERS: I will have a limited number of special swag bags for bloggers wearing a name tag at the event designating them as bloggers. 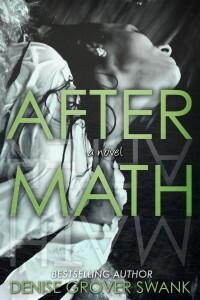 The bags WILL contain a print copy of After Math (as long as Amazon cooperates with me! You can find out more about AFTER MATH here. Yay! I am sooo excited for the BAE! I am a blogger and will get my name tag at the check in table at the event! I can’t wait for your swag bag, that is so generous of you! I can’t wait to read and review this book! Thanks!